Jumia Kenya Contacts: Reliable Ways to Contact Jumia. Having Jumia Kenya Contacts at hand can make you enjoy the shopping experience that Jumia offers. Let us face it, not every shopping experience goes as expected. That is when you realize that had you had the Jumia Kenya contacts at hand, your pain would be eased. They are those days that you may miss the product you ordered (though this is rare) and a wrong one delivered. Or like in my case (it has happened more than once) where you have I have to return an electronic after it did not work and I had a 3 months warranty on it. That is when you wish you had those Jumia Kenya contacts in your phone. Here are the Jumia Kenya contacts. If you wish to urgently speak to a customer service agent, call 0700 000 990 or 0711 011 011. But there are other reasons you may want to contact Jumia Kenya. If that is the case, go https://www.jumia.co.ke/ and login with your name and password. If you do not have an account yet, learn how to create one here. Once you have done so, that is logged in, scroll to the bottom of page. There are many useful links. Among them is the contact us link. You will find it at the top left. Click on this link. This takes you another page. Here is how it looks. 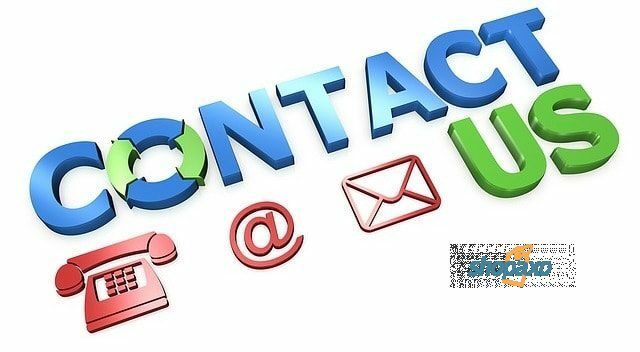 Here you are greeted by a contact us page. On the top right, you will see the words, “Still need help”. Fill in your contact name, e-mail address and the order number. If you do not have an order number, leave it blank. None- If you are not serious and just playing around. This is the default subject. I want to confirm an order. I want to cancel an order. I have a payment issue. I want to track my return/ refund order. I have some other request. Select what applies to you. In the description box, describe you issue as best as you can. Then hit the send button. Honestly speaking I have not used this method. Though on their website, Jumia Kenya claims that it will respond to you within 2 business day, this claim is not verified. So you should be looking at you email since that the only method they will be able to respond to you. Another method you use is the online chat service. If you login into your account, a pop up page come at bottom of the website. I have tired this one out and it works well. Your issue can be sorted within minutes. The advantage is that you do not have to wait long. However if your issue concerns other departments, you may be given an email to write to them . Other ways to contact Jumia Kenya. Below are Jumia Kenya Contacts which include physical locations, phone numbers and working hours. Jumia Kenya has presence in key Kenyan cities and towns. If you are in these locations, you can walk to its offices for quick customer service. This is located in the Westlands suburb of Nairobi, Kaka House 3rd floor, Maua Close off parklands road. Services are offered from Monday through Friday from 9.00 am to 5.30 pm. This is the headquarters of Jumia in Kenya and for that reason it is very busy sorting out issues of all kind. This one is located on the Ground floor of Campus Towers along Moi Avenue, Nairobi, opposite Jeevanjee Gardens. You can reach them through phone number 0700000990. The CBD branch mostly serves customers located within Nairobi CBD. Working days are Monday through Friday. The working hours are between 8.00am to 5.30pm.This branch also offers services on Saturdays and Sundays from 8.00am to 2.00pm. Their services include delivery, return handling, payment handling and tracking of packages. Located on Jomo Kenyatta Avenue, Mombasa Road, opposite Guishan restaurant and Badar Pharmacy. Mobile phone number: 0790828890 From Monday to Friday, the operational hours are between 8.00am to 4.30pm while on weekends and public holiday they operate as from 9.00am to 1.00pm. They specialize in offline shopping mall services. You can find this branch in the lakeside city of Kisumu, Sibuor shop, Oginga Odinga Street. Working hours are from 8.00am to 4.30pm on weekdays and as from 9.00am to 2.00pm on public holidays and weekends. If you are in Nakuru, find their shop on Kenyatta Lane opposite Nakuru Railway Station. Contact phone number: 0700443442. Open from 8.00am through 4.30pm on weekdays and 9.00am to 1.00pm on public holidays or weekends. They mainly offer offline shopping mall services to their customers. Located in Eldoret, Dalsa center, on Oloo Street. Their working hours are 8.00am to 4.00pm Monday through Friday. On weekends and public holidays, services are offered as from 9.00am to 1.00pm. There services include offline shopping mall, delivery and payment. Having Jumia Kenya Contacts at hand can be very helpful. There is that one day that things just do not go right. Having Jumia Kenya contacts with you is like having the problem half solved. Making a call. To do this call 0700 000 990 or 0711 011 011. Writing an email to them and waiting for response. Visit their offices that are in major cities in Kenya. Should you have any difficulties, fell free to contact me and I will be able to assist you. Previous articleJumia Kenya Black Friday 2019: Here is how to join the party.